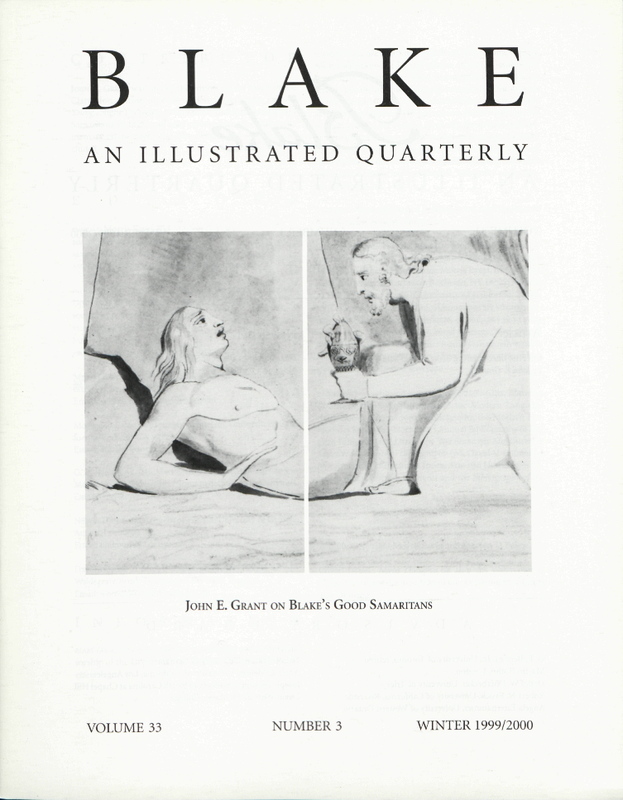 John E. Grant was one the editors of the two-volume Clarendon edition of William Blake’s Design for Edward Young’s Night Thoughts, 1980. The involutions among Good Samaritans in this issue may explain why an entire commentary on the Night Thoughts designs may never be concluded. Cover: Detail. Night Thoughts 68, II, p. 35. Watercolor. c. 1796. Courtesy of the British Museum, Department of Prints and Drawings.